We were so excited to be invited to the VIP cocktail party and Grand Opening Celebration of the Tybee Island Wedding Chapel with the star host David Tutera, premier celebrity event planner and host of WE-TV’s My Fair Wedding! 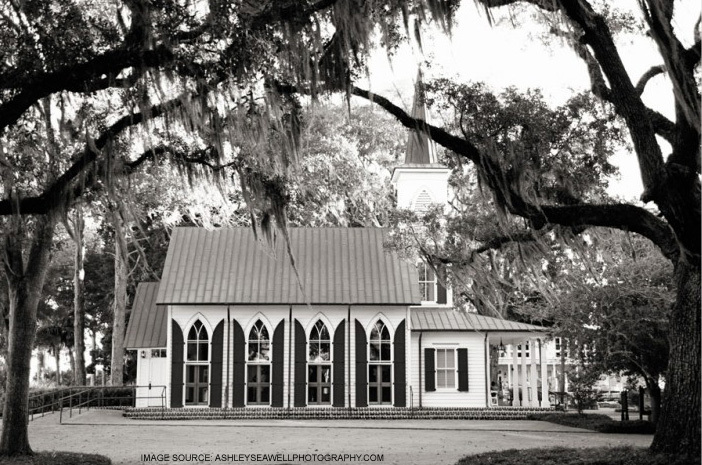 The chapel was originally built by prized artisans to reflect the look of a turn-of the century Baptist chapel for the Miley Cyrus movie, The Last Song. It was slated for demolition after filming wrapped but at the last minute was saved and repurposed as a unique, beautiful wedding venue. The VIP party brought together some of the most talented vendors in the Georgia and Coastal Carolinas to showcase themed wedding vignettes including a Lowcountry theme, Coastal, Classic and Picnic Posh. We took lots of pictures (which we apologize are not fabulous quality but are of fabulous things) to share with you and hope that you are just as inspired as we were! 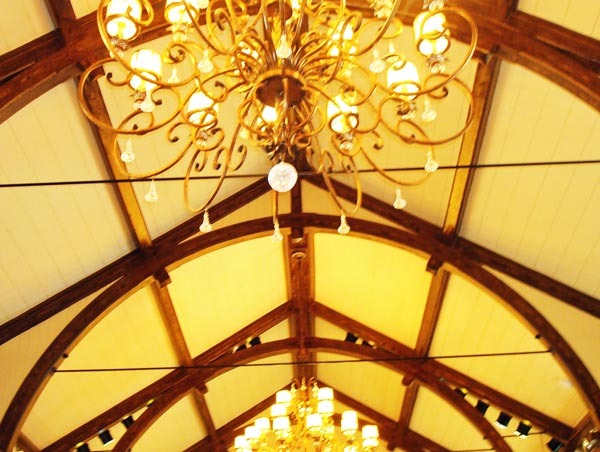 This is the beautiful ceiling in the chapel. 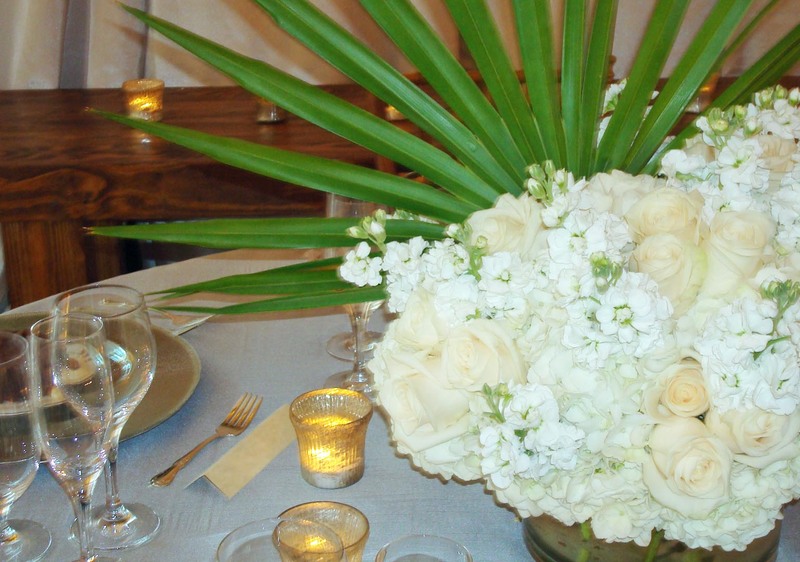 This is the Lowcountry vignette that was styled by Ashley Rhodes Events and florals by Emily Wynn Wildes Floral Design. Fandango Events constructed and provided the beautiful draped fabric. 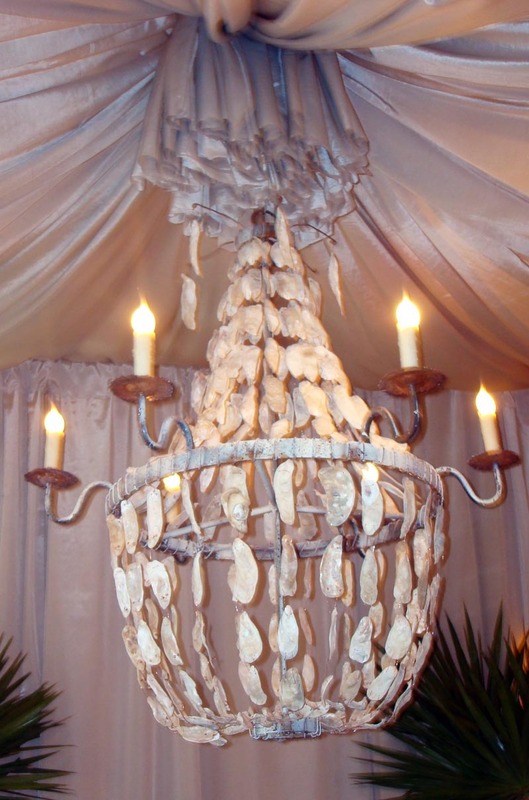 The hand strung oyster shell chandelier was graciously provided by Lowcountry Originals. 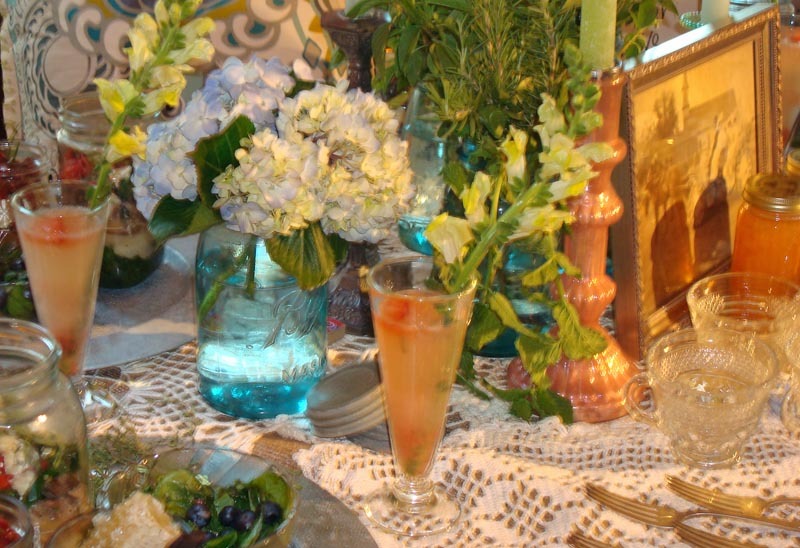 This stunning vignette was created by Sebril Smith Events and was created for the ‘Picnic Posh’ theme. This picture does not do that amazing chandelier creation justice. 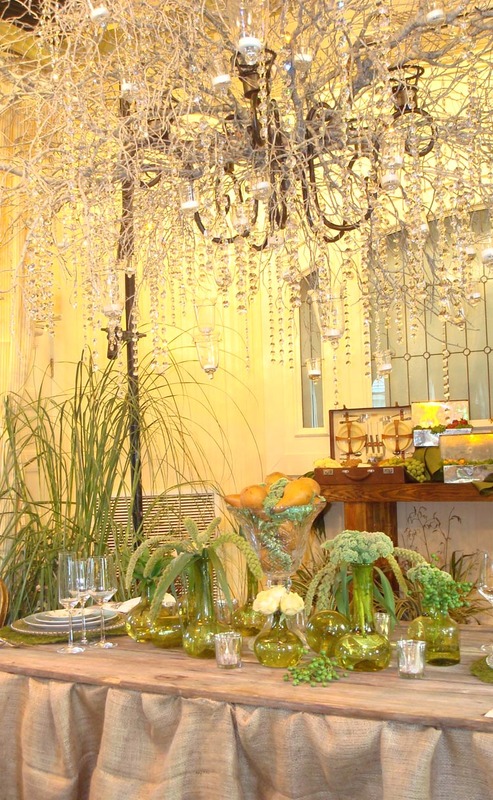 Leoci’s Trattoria created this rustic vignette reminiscient of an small Italian village cafe. 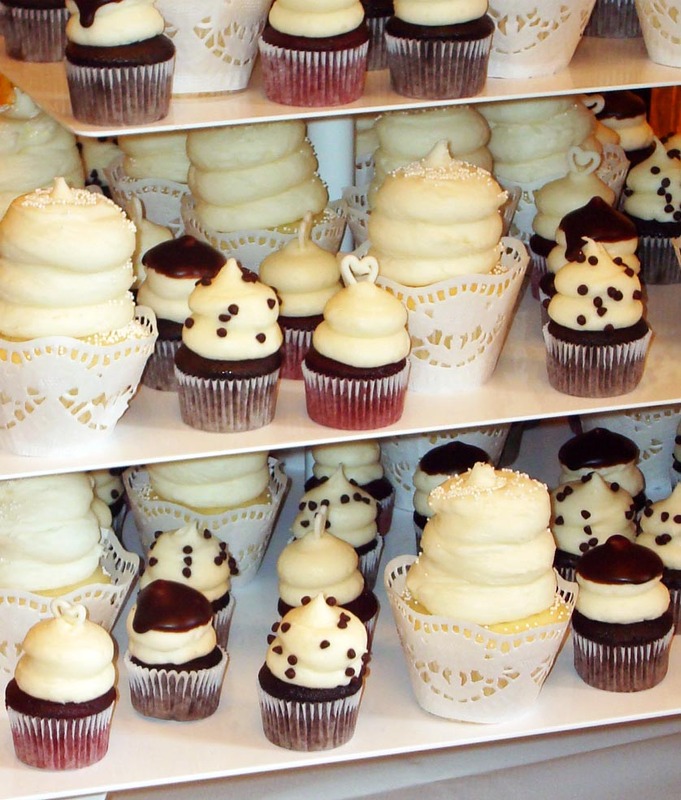 And these little treats were created by Gigi’s Cupcakes. They had the most divine raspberry cream cupcakes. They were so delicious we had two (don’t judge they were tiny)! One vendor we adored but did not get a good picture of their work was Urban Poppy. 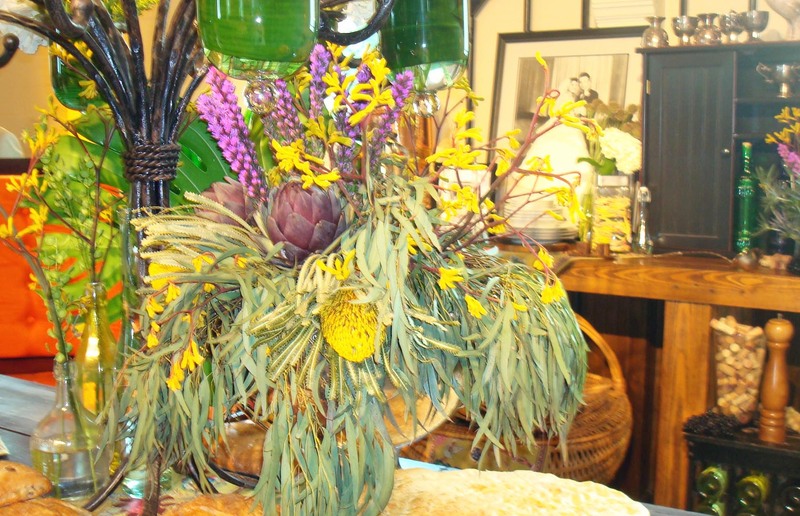 She creates some really original floral designs and incorporates found objects and repurposes them in very creative ways. Who: Couples who want to get married at a luxury resort and inn with a rich history and an unparalleled beautiful natural setting. 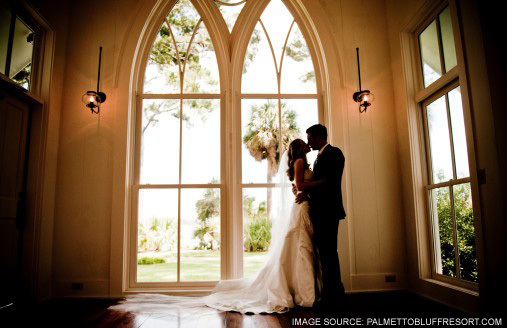 When: Due to the temperate climate, Palmetto Bluff is ideal for weddings throughout the year. Indoor venues will keep guests cool in summer and warm in the winter while outside areas have cool coastal breezes and outdoor fire pits to provide comfort. Where: Palmetto Bluff is located in Bluffton, SC along the beautiful May River in the heart of the South Carolina Lowcountry. 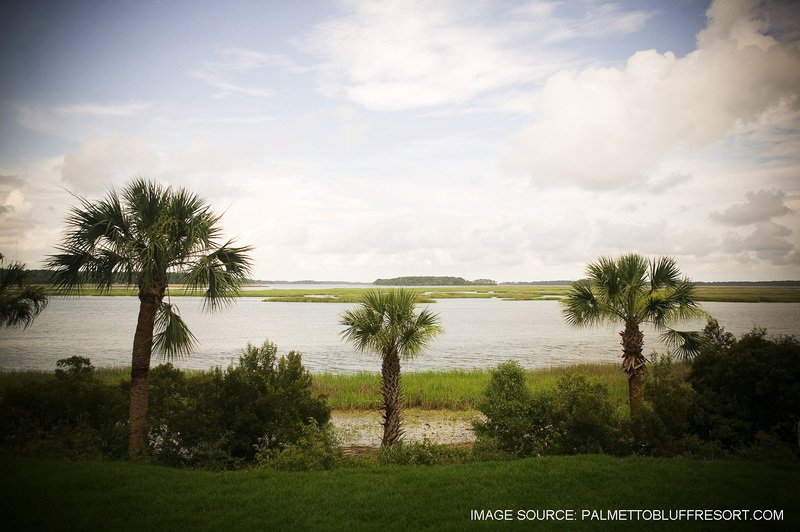 Why: Palmetto Bluff is not just a place – it’s a mindset. Things slow down here and details like gas lanterns, historic ruins and classic Lowcountry architecture reinforce this. As soon as you enter the gates you will likely be overwhelmed by the Spanish moss-laden oaks trees and lush natural beauty. 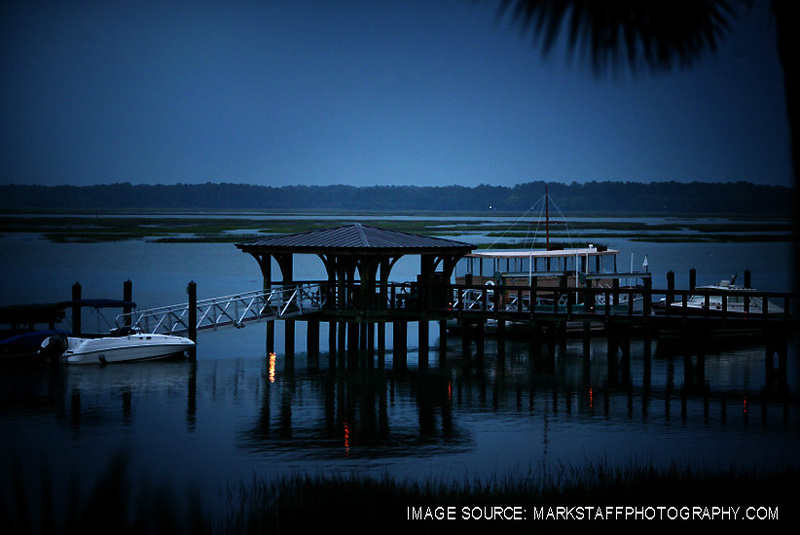 Much of Palmetto Bluff is protected from any future development as a part of their environmental preservation efforts. There are 50 guest cottages each with pine floors, high vaulted ceilings and screened porches. Your guests will not get the chance to be bored after taking advantage of the spa, fishing, boating, kayaking, tennis, golf and more! 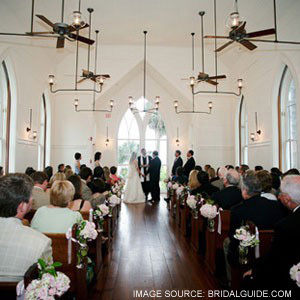 The jewel of the resort is the intimate Waterside Chapel located on the banks of the May River. After wedding here couples have their choice of several locations both indoor and outdoor within the resort to have their reception. Whether enjoying cocktails on the River House veranda (and what’s more Southern than a veranda?) or sipping wine around the May River Lawn fire pits, Palmetto Bluff will not disappoint. For more information contact Palmetto Bluff Resort.